Liz’s Community Bulletin for July is available here! You can download it as a PDF, or view it here. New York – Today, in an op-ed published in the Albany Times Union, Sen. Krueger called for action to end Albany’s pay-to-play culture. Full text of the op-ed can be read below and is available here. 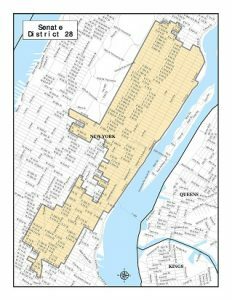 New York – Senator Krueger today submitted tesitmony to the New York City Rent Guidelines board recommending a 0% rent increase for both one and two-year leases. Full testimony can be read below. Liz’s Community Bulletin for June is available here! You can download it as a PDF, or view it here.